You'll find many events and occasions that will be perfectly suited to these hoop earrings from Gucci's Le Marche des Merveilles collection. 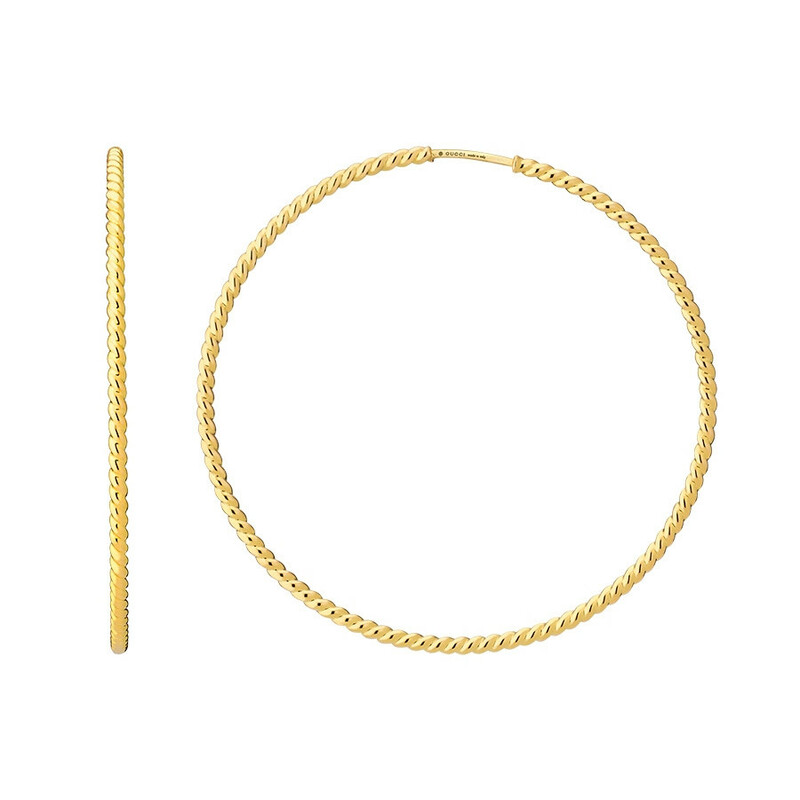 Crafted in 18K yellow gold, they have a twisted texture that will transcend jewelry trends. These gorgeous Gucci earrings are destined to be one of your greatest-looking g-tos.